I was getting to the end of my Estée Lauder Invisible Fluid Foundation and as much as I love it (I will do a review soon), I wanted to try out something different. There have been several new releases in the foundation world recently that have sparked my interest including the Urban Decay Naked Skin and the Benefit Hello Flawless Oxygen Wow or whatever it's called! 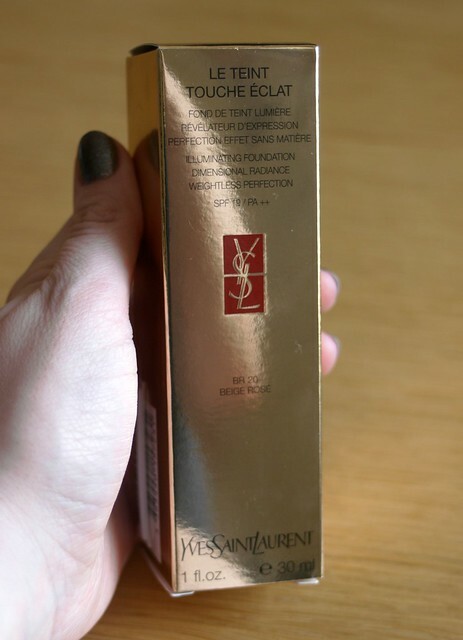 The one I went for in the end was the YSL Le Teint Touche Éclat. 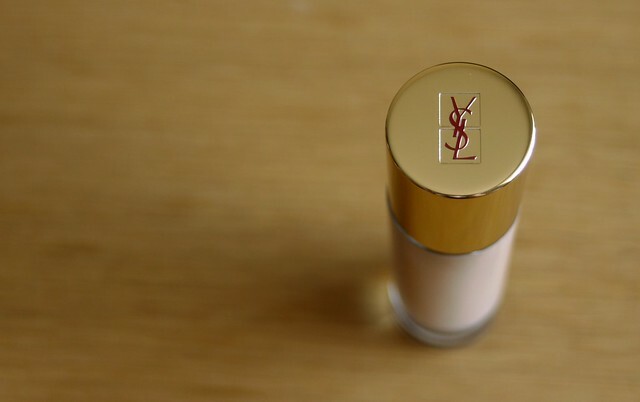 This was my first time trying any YSL products. I've never even tried the classic Touche Éclat highlighter. After reading several reviews of this, it sounded like the product for me, according to the insert that came in the packaging "Le Teint Touche Éclat illuminates your complexion, Shadows and imperfections appear reduced while complementing the natural silhouette of the face". It is also "warm and vibrant, highlights the contours of the face for a fresher complexion, full of life". It comes in three shade variations Beige, Golden Beige and Rose Beige with 22 shades in total. 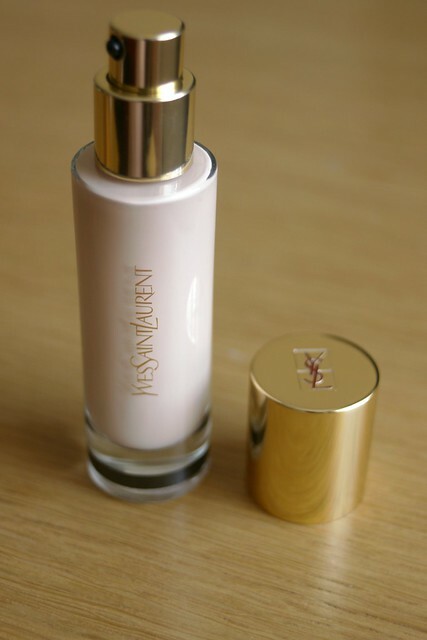 I was matched to the shade BR20 (Beige Rose 20) which is the second to lightest shade in a rosy beige colour and this is an absolute perfect match for my skin. I don't think I have ever had a foundation match my skin this perfectly! The lady who matched me said that the Beige Rose shades are the best for a more youthful appearance, she was so nice and also offered me and my mam a free make up lesson too. 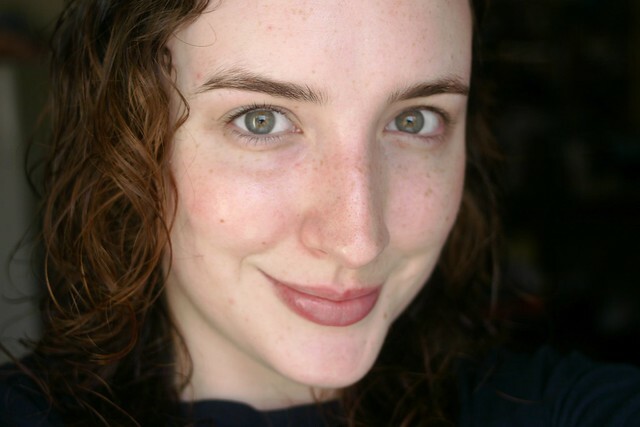 As you can see it just evens out my complexion without covering the skin too much, you can still see my freckles which is a must for me. It has a satin/dewy finish so I would definitely need to powder the centre of my face during summer. I really felt that my skin looked more radiant, I almost didn't apply any of my High Beam when I did the rest of my make up. I used my Real Techniques Stippling brush to apply it and I would consider the coverage to be light to medium. I definitely think you could build the coverage if you needed to in certain areas because the consistency is so light and blendable. The packaging it what really makes this foundation worth the money when you compare it to other "high end" foundations including Chanel's Vitalumiere Aqua. It comes in a glass bottle so that you can see how much product you have left and it has a pump which I love! For €38 you get 30ml of product which is the exact same as Vitalumiere Aqua and I definitely prefer this. My skin is normal/combination so I'm not sure how this would fare for someone with oily skin. I'm sure with an oil free primer and some powder to set the T-zone, it would probably be fine. I love this, the only fault that I can see after using it for almost a month now is that as the day goes on my skin does need some blotting, especially in the hotter weather, but I can imagine in Autumn/Winter this will be ideal for making my skin look fresh and luminous! PS. It's my birthday tomorrow so I'll hopefully have some photos to share with you later in the week! Thank you so much! I'm so glad you can relate to my love of the natural look. I know how hard it can be to find the right foundation. I'll get a review of the Estée Lauder Invisible Fluid up soon! Happy happy birthday to you, dear friend Emma! I hope you and Donnacha do something extra special and post the candids which I'm sure will include some whimsical poses. I love your eye for packaging! I don't think you require this product because it is used to reduce imperfections. You, my dear Emma, have none. Happy Tuesday evening and once again, happy birthday to you! Thank you Tom, that's such a kind thing to say! I look forward to sharing my birthday adventures with you! Fantastic post Emma - this is really gorgeous on you. I love it too but it doesn't last all day on me so I am reserving it for nights out. Gives a really flattering finish. 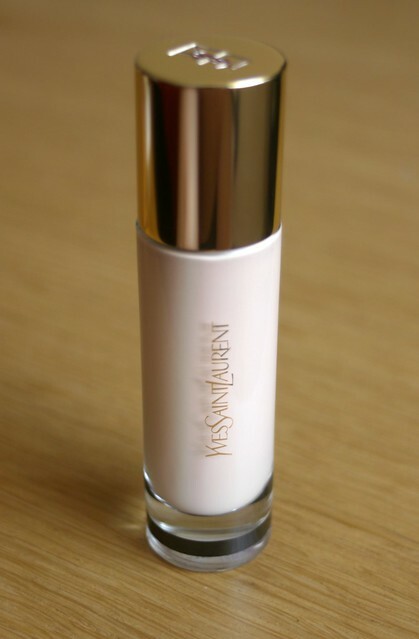 I agree, it definitely doesn't last as long as some of my other foundations, it's a must for night outs though! Sounds like a really great product. It really looks like it went on smoothly and wasnt too heavy which I like. 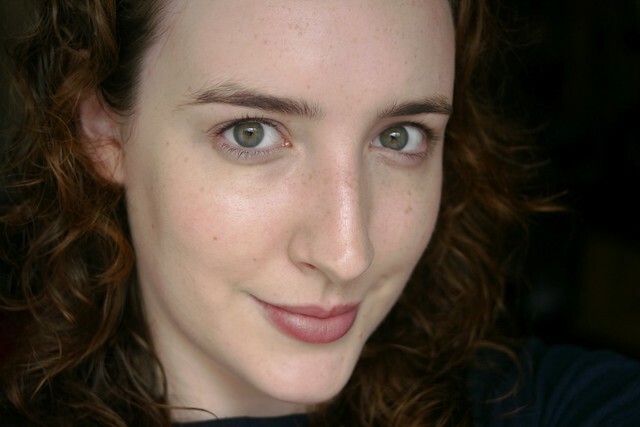 Have you ever tried any drug store foundations that are any good? I haven't had any drugstore foundations in a while but I do love the Bourjois ones and Max Factor (I'm not sure if they have Max Factor in the US) and I've heard really good things about the Revlon ones too! You're such a beauty. Came across your blog looking for pictures of pale girls wearing touche eclat to try and figure out my shade. I was given BR20 too and was worried it was darker than I thought, so it's nice to see it looking good on someone else! Thank you! I really love the shade I was matched with, it's a lovely foundation!